The Heart of the Golden Triangle. Cavalli's Wine & Vineyard philosophy is to produce world class wines with a very local character and a strong identity so to be clearly recognized as from the Helderberg region, while endeavouring to be the benchmark with regards to Terroir and quality for the Helderberg in the years to come. 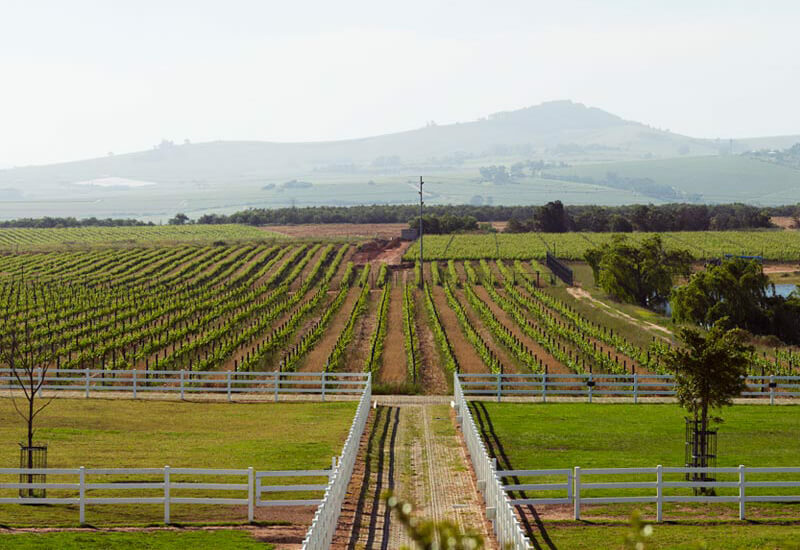 We strive for our immediate environment to be represented in the characteristics of our wines while upholding sustainable farming practices to preserve the land which falls within the Cape Floral Kingdom, a Unesco World Heritage site. The Helderberg region of Stellenbosch is nearest the ocean and lends the estate to the cooling influence of the Southerly winds. Our soils contain large amounts of ''koffieklip'' with a higher percentage of clay in the subsoil, affording the wines an innate elegance and expressive fruit characteristic. 100% Vititech motherblock plant material is used on the farm – resulting in virus free vineyards and optimal growth, producing outstanding wines. Extreme attention to detail from soil preparation to bottling, through a hands-on approach secures grapes of the highest quality.